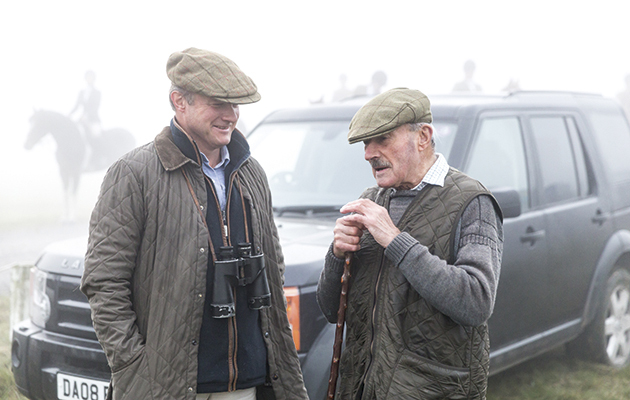 The Royal Artillery Hunt’s newcomers’ weekend is a wonderful introduction and helps to safeguard the future of hunting, says Rory Knight Bruce. The next generation of hunt followers; Purdey Humfrey with Arthur Butler. 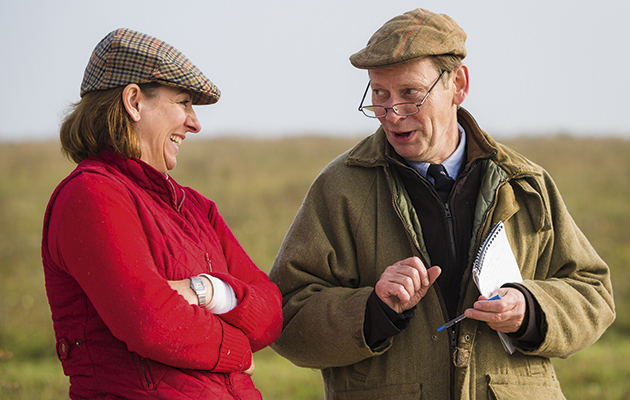 Newcomers’ weekends are not just a wonderful introduction to the sport for hunting newcomers, but they are also vital to safeguarding hunting’s future. 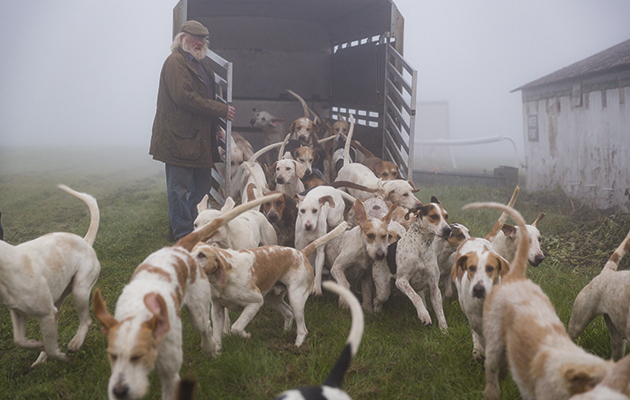 The Masters of the Foxhounds Association are also working to safeguard hunting’s future. Find out more about the young people dedicating their lives to the hunt, eleven years after the ban, read MFHA Bursary Scheme: the huntsmen of tomorrow. 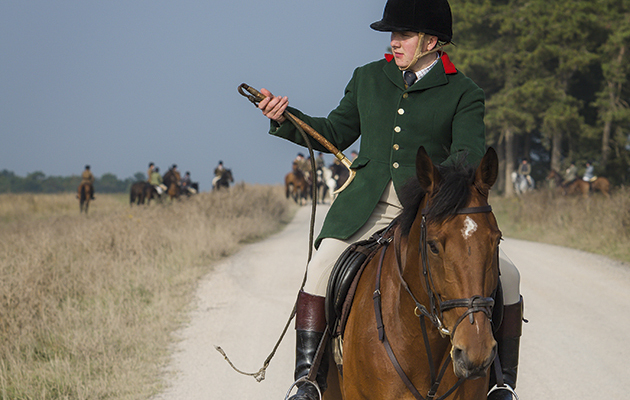 Field writer Rory Knight Bruce attended The Royal Artillery Hunt’s newcomers’ weekend, and had a blast. 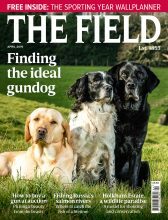 Even after 200 years of hunting in Britain, sometimes an idea comes along that’s so good you wonder it has never properly been attempted before. As in so many things, it often takes the military to provide the thinking, leadership, logistics and location. Gunner Vicky Redfern and Captain Julie Navarro. 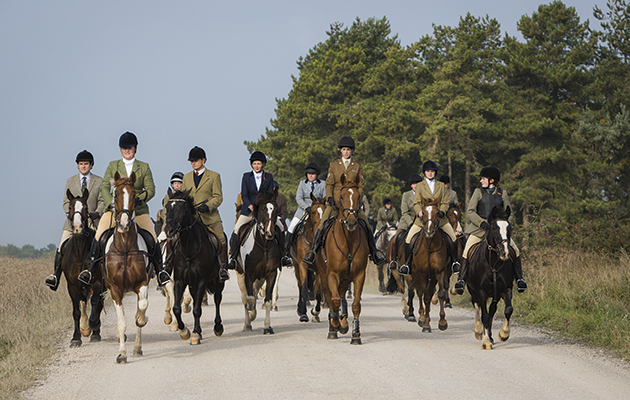 So it was that more than 30 riders of all ages and abilities assembled in early October for a “Newcomers’ Hunting Weekend” at the Lark-hill Barracks near Amesbury on Salisbury Plain. It was laid on by the civilian and military Masters and members of the Royal Artillery Hunt (RAH), today the only military pack and, with its associations with the King’s Troop and Honourable Artillery Company, one infused with a sporting and soldiering history. When Major General Johnny Frost blew his hunting horn on Arnhem Bridge, immortalised in A Bridge Too Far, it was, of course, with the horn he had used to hunt the RAH when stationed there in the early part of the Second World War. As Joint Master Lieutenant Colonel Angus Cameron pointed out, in one of the several highly informative talks that punctuated a morning’s autumn hunting, rides across the Plain and a crack at the cross-country course, the regimental “zig-zag” red tie was also worn by The Major in Fawlty Towers. Ned Cummins unloads the hounds. One of the great secrets of hunting is to get right the balance between the seriousness of the sport – its etiquette, standards and traditions – and the absolute principle that it should be welcoming and fun. As the hunting newcomers gathered on the Friday night at the Malet Arms at Newton Tony, a fine, old-fashioned sporting inn off the A303, between the two “in country” sporting estates of Cholderton and Wilbury, it was time to “meet and mingle” and to settle a few nerves. Among the hunting newcomers were six young members of the King’s Troop under the wing of Captain Julie Navarro and riding instructor Thomas Jenks; a judge, Alastair Sharp, and his QC wife, Anne Hussey, who had flown in from Hong Kong; Judy Skelly from America; two girls from Kent who worked in the City; and Paul Dowsey, who organises social events for the hunt. We also met civilian Master Pippa Grob, whose tireless enthusiasm and meticulous planning are behind much of the RAH’s activities, including this weekend for hunting newcomers. The hunting newcomers assembled next morning at 7am outside the grandstand of the Larkhill racecourse to be assigned “hunting buddies”: 20 RAH regulars, including new civilian Joint Master Anne Price. This was not an easy task as thick fog enveloped the proceedings. The uniformed King’s Troopers looked immaculate if tense. 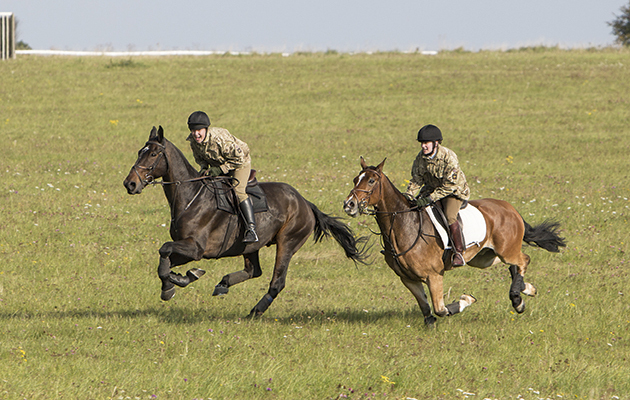 One of the advantages of the RAH is its Saddle Club, through which military family members and friends can hire sensible and reasonably priced horses to go hunting here. 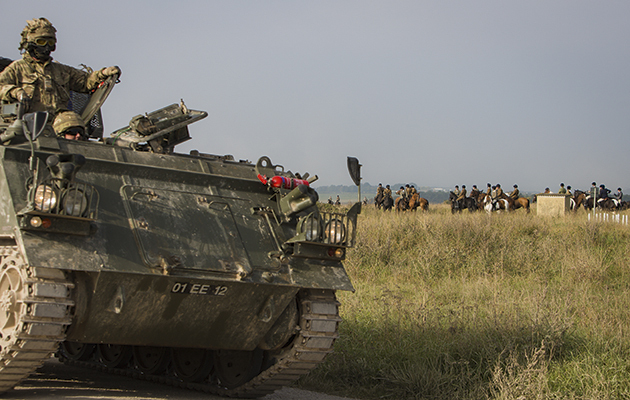 The newcomers head across Salisbury Plain. Salisbury Plain, however, which covers 94,000 acres, has few roads, no gates to speak of and offers a wonderfully undulating terrain of turf, gorse and myriad wild flowers.  So it was decided that huntsman Robert Moffatt, a seasoned professional of the “old school”, should lay the hounds and mounted field into the foggy yonder with only his horn commands to tell us where he was. 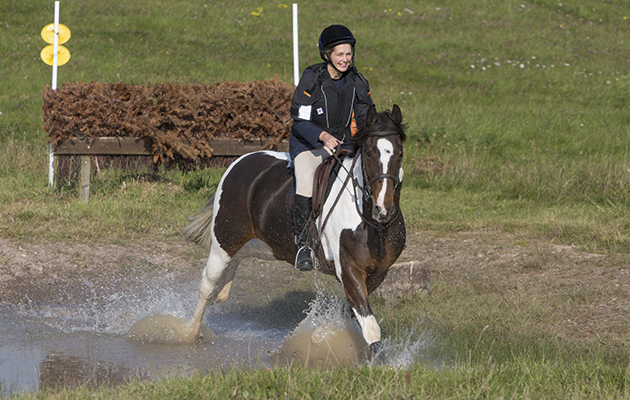 Jo Cloud tackles the cross-country course. “What we are trying to achieve with this course is to welcome hunting newcomers in a friendly way, which is also, for them, the cheapest way,” hunt secretary Ali Wilson told me. But it is also, as we were to discover from the lectures that followed, an opportunity to explain the basics of hunting so that the hunting newcomers can derive as much pleasure from the sport as possible. RAH chair Dickie Winchester and vice president John Jago. What he added, however, is that the more the evolution of hunting dress and good manners is understood, the more the hunting newcomers will enjoy their sport. As he explained, every bit of his hunting kit had some special meaning to him: a grandparental whip; a hunt coat handed down from the Bengal Lancers; a top hat bought on honeymoon; mothballs bought illegally under the counter from a shop in Marlborough. “There is nothing better than to know the rules so then you know how to break them,” he said. Tony Roberts, who came from Worcestershire, has, since 1989, gathered together a mobile hunting collection of more than 300 hunt uniforms, 700 hunt buttons and many diaries, which he put on illuminating display. As befits a true countryman, he spent the night on the racecourse in his campervan with his terrier. A highlight of the afternoon was a visit to the RAH’s small but immaculate kennels, built in 1934, where Robert Moffatt, partner Sarah and bursary whipper-in Harry Osborn keep a very tidy ship and about 30 couple of modern English foxhounds. Not only did Moffatt speak with unbroken eloquence about the hounds but we were shown their third season doghound, Buster, who won the unentered class at Peterborough in 2014. “I don’t have any favourites but that was the hunt’s first win at Peterborough since 1947,” he said with obvious pride, while Alastair Sharp took a “selfie” to send to his daughters. A personnel carrier keeps watch. There then followed a talk by naval surgeon commander Harry Rourke, who took up riding six years ago and had attended an earlier Newcomers’ Weekend at Larkhill. 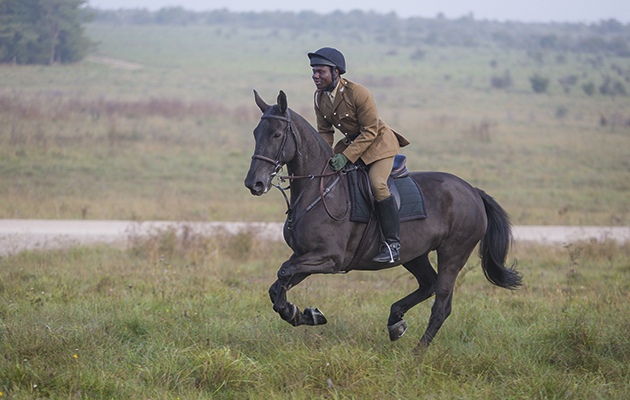 “I started to ride on a 19½hh black Russian horse called Boris after Colonel Winchester had asked for volunteers to do a re-enactment of the Battle of Balaclava,” he recalled. Next year he will be taking part in the Mongolian Derby. What advice did he have for hunting newcomers? “I would recommend you don’t drink at the meet, don’t wear too many clothes and don’t wear spurs,” he said. This certainly raised some eyebrows from those of us among the old guard, who need a couple of “fence reducers” of port at the meet, always wear silk vests under our heavy hunting coats and need our spurs to just nudge the horse’s sides as we go into a fence. The rule here then would seem to be to do what works for you. The secret to the success of this Newcomers’ Weekend at Larkhill is that there was a lot of good humour and not too much information to take in. On the Saturday night, I gave a talk on hunting around Britain and on the Sunday there was another ride across Salisbury Plain and a talk on keeping fit from masseuse and former Commonwealth Games rower Elizabeth Prince. Dress for comfort, safety and warmth. Carry a mobile and contact number for the secretary. Arrive early and get to know your horse. Keep out of the way of hounds and other horses at the meet. Come along with a “hunting buddy”. Follow the Field Master at all times and, if you finish early, make sure you tell the secretary. Wear a safety-approved hunting hat. Buy leather boots as soon as you can afford them. Get kit from The Hunting Stock Market or (second hand) from Calcutt & Sons, Sutton Scotney, Hampshire. Tell your relations you have started hunting – they will soon give you or buy you all your hunting requirements with, perhaps, the exception of the horse. The RAH’s Newcomers’ Weekend for 2016 will be on 1 and 2 October.